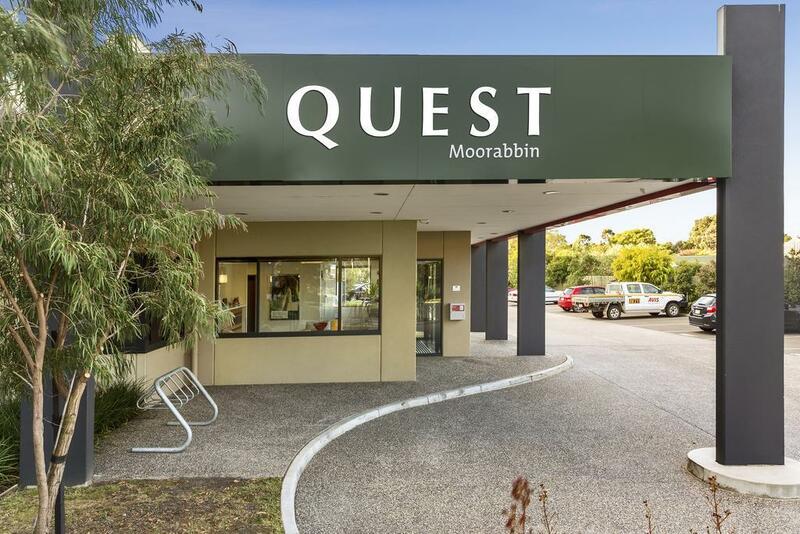 يوفر فندق Quest Moorabbin Serviced Apartments ظروف إقامة راقية وهو خيار رائج للسياح ولرجال الأعمال أيضاً. يقع في منطقة تسوق من ملبورن. يسهل الوصول إلى هذا الفندق ذو 4 نجوم من المطار، فهو يبعد عنه مسافة 50 km فقط. يضفي محيط الفندق اللطيف وقربه من Australian National Aviation Museum, ملعب فيكتوريا للجولف, Bayside Skin Cancer & Medical Clinic سحراً خاصاً على هذا الفندق. 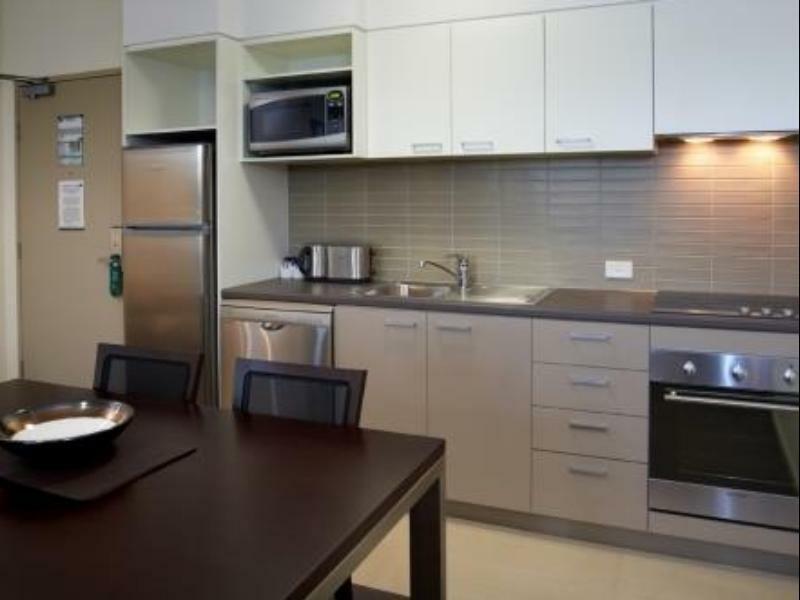 يعمل Quest Moorabbin Serviced Apartments على ضمان إقامة مريحة لضيوفه من خلال خدماته الممتازة وحسن ضيافته. لضمان راحة ضيوفه، يقدم الفندق الخدمات التالية: مرافق مخصصة لذوي الاحتياجات الخاصة, تسجيل وصول/خروج سريع, تخزين الأمتعة, واي فاي في المناطق العامة, صف السيارات . بالإضافة لهذا,تتضمن كل غرف الضيوف مجموعة واسعة من وسائل الراحة . بعض الغرف توفر حتى تلفزيون بشاشة مسطحة, غرف لغير المدخنين, مكيف هواء, تدفئة, مكتب لإرضاء أكثر الضيوف تطلباً. إن مركز للياقة البدنية, حديقة هو المكان الأمثل في الفندق للاسترخاء وتفريغ طاقتك بعد نهار طويل. اكتشف مزيجاً ساحراً من الخدمة الاحترافية والخيارات الواسعة من وسائل الراحة والمتعة في Quest Moorabbin Serviced Apartments. Great appartment. Bit far from facilities (restuarants supermarket etc). After having booked 5 - 6 months ahead of requiring accom as part of a group and then being split up and moved to a different provider which proved to be a challenge getting us all together socially. A satisfactory explanation was not forthcoming. The question was asked as to why we as group were split up rather some individuals, again no plausible explanation. This did spoil our holiday some and on this basis would not recommend this establishment to anyone. Room was a bit on the cool side. We couldn't seem to adjust. On the whole very good. 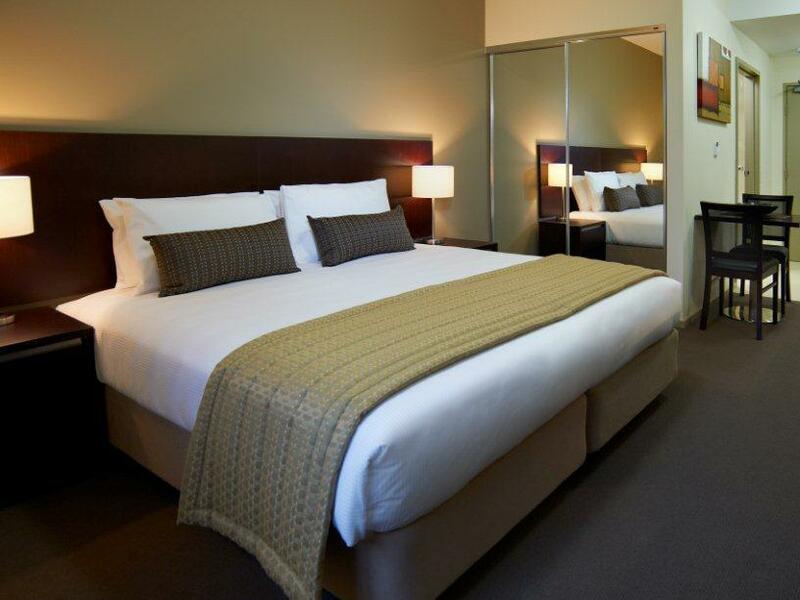 Large, clean and comfortable rooms. More parking lots would be appreciated though. I was very impressed with the outstanding cleanliness of the room. Staff were friendly, welcoming and professional. Parking was a slight problem on Saturday night as all the spaces were full. Nice place next to chadston shopping and DFO. Nice place next to chadston shopping and DFO Nice place next to chadston shopping and DFO. Good venue, may stay again. Has an in room phone charger for all phones and USB. Good location for us as we had appointments in the Moorabin area. For what we needed the studio apartment was just fine but next time and there will be a next time I think we will upgrade. For where we needed to be this location was superb. It has a quite environment around the hotel, because I like quiet. The staffs are very nice even I checked in at 0130am and they needed to come out from the bed !! We stayed in the two-bedrom apartment for 3 nights and the room is very nice and clean . everything in the room is new and comfortable, but it is very far awar from the city , as we have bussiness nearby which is ok for us. Hotel is located in a very quiet area , but you can order delivery at night or you can cook by yourself as the kitchen in the room is well equipped.